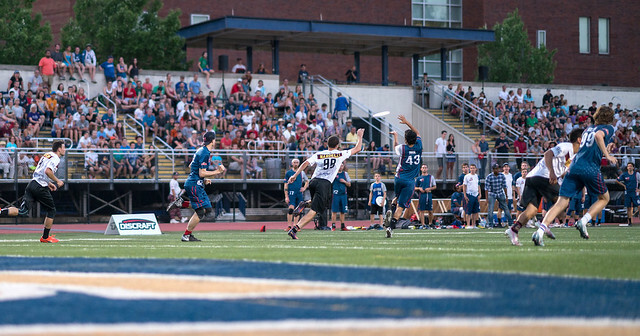 After finishing in 2nd place (10-4) in the East Division of the American Ultimate Disc League (AUDL), your DC Breeze open the playoffs at home against the Montreal Royal (9-5). Game is Friday, August 11th at 7pm at Hotchkiss Field. The winner then takes on the Toronto Rush (11-3), who won the East. Last year the Breeze lost to the Rush in the playoffs in overtime. The Rush advanced to the semi-finals before losing to the eventual champion, the Dallas Roughnecks. This should be an exciting game as the Breeze split the season series with the Royal 1-1. Anything can happen!